Julie Beckers (°1985) obtained her PhD in 2017. Her research focused on female devotion and the visual arts in 15th century Central and Southern Italy. She was supervised by Prof. Barbara Baert. 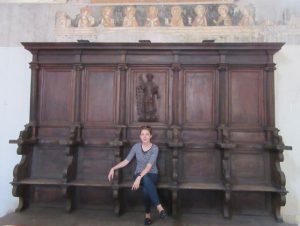 She is currently a Research Fellow in the History of Art Department at the KU Leuven and works as an editor for the Rubenianum in Antwerp.